Finding the best fitness trackers and running watches for women can sometimes be challenging. As it is, gathering a list of the top five would need some good hunting; but the fact remains that the watch models nowadays continuously improve – so if you will buy the latest edition of a fitness band, you’re quite sure it has the essentials that you need. 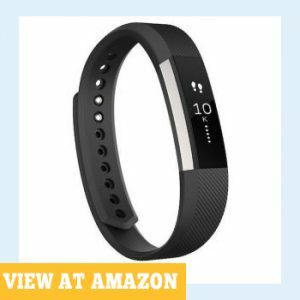 Fitbit model Britney Spears wear on her Instagram photo – you should be able to find a good fitness tracking device to get you started. 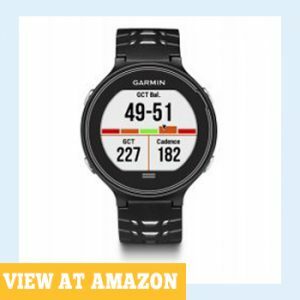 One of the popular running watches for women, the Garmin Forerunner 630 is the newest edition in the Forerunner brand by Garmin. This tracker is more light, uncluttered and simpler, without the bulky and heavy feel of the previous version. 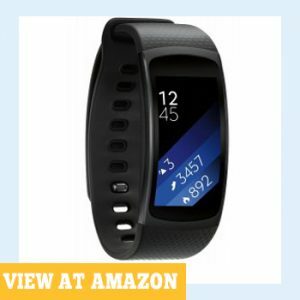 It is one of the favorite fitness trackers for women, within the sleek, and expensive category. For serious runners, it is 5 ATM waterproof, in a comfortable matte plastic, which weighs just 44 grams and measures 11.7 mm thick – an ideal GPS watch for women. It features essential running tools to record progress and recovery time after every workout. The features have similarity with the previous edition, the Forerunner 620 – but you can now record the vertical and stride length ratio, as well as other fitness dynamics such as vertical oscillation, ground contact, and cadence. The fitness tracker also features physiological measurements such as predicted race times, recovery time, performance condition, stress score, VO2 max, and lactate threshold. It has Smartphone notification features which include text, e-mail, call and calendar notifications, along with the Connect IQ applications, widgets, watch faces, and data fields. In addition, it provides automatic uploads to Garmin Connect, for live tracking and audio prompts. However, it doesn’t have the heart-rate monitor from the Forerunner 620, as well as it has quite a dimmer backlight. 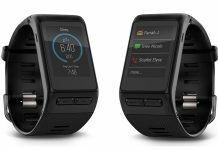 Overall, it is one of the new choices for fitness trackers, with longer battery life, firmware upgrade, and stable ecosystem from Garmin. 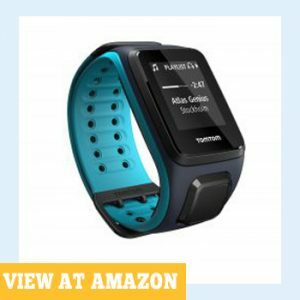 The TomTom Spark provides a mid-range priced fitness tracker for women, especially for those looking for a nice combination of GPS, music, and heart rate monitoring functionality. It is not at par with Garmin’s ecosystem but includes various training modes within the watch nonetheless. You can choose either with the large or small strap, in lilac or black models. The big strap measures 143 to 206 mm, while the small strap can fit wrists from 121 to 175 mm – with an approximate weight of 47 grams. It’s most notable feature is the Bluetooth music player, which can store up 3GB of music storage, allowing you to train and workout, without using your phone. As it provides a heart rate monitor and also a waterproof watch, you can measure your heart rate using the Multi-sport mode for mixed training on treadmill, cycling, gym workout, running and even swimming. Track all your activity, with live stats, function to measure calories burned, running speed, walking pace, sleep hours, as well as your time and distance ratios. The fitness watch tracks up to 3 weeks of your activity, allowing you to study your sessions, progress, and recovery. Tomtom Spark’s battery can provide up to 5 hours of GPS with music, with the GPS tracking lasting as long as 11 hours, which also features an audio for workout performance and motivational feedback. Measure each stroll, stairs, sprints, and steps – all the types of movements in your day. However, some of the noted issues include the inability to change your tracks in the middle of a workout and the inaccurate heart rate monitor when you work on upper body lifting exercises. Otherwise, it can pick up your heart rate quite easily and can provide accurate readings during leg workouts and running. Multi-sport mode for mixed training on treadmill, cycling, gym workout, running and even swimming. If lack of motivation drags your fitness goals, it may be time to wear Moov Now, as this fitness tracker can talk you through, by providing real-time audio coaching for your sessions on cardio, cycling, running, boxing, swimming, weight loss and other types of body workouts. The fitness tracker measures your likely behaviors, tendencies, and workout habits. 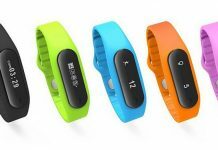 The special features include the comfortable breathable strap, waterproof material, 6-month battery life and the Omni Motion Sensor, which uses 3D sensors. You can measure all your movements, as well as track your sleep. The New 2016 Edition features the Moov App, which provides a guided program for different types of fitness and sports training. Aside from the status updates, the enhanced audio provides virtual coaching for your goals, with feedback such as: “You need to run 15 meters. Push harder, you’re near your goal”. As it also works in the water, you can track your detailed swimming activities such as strokes, laps, time and distance. This fitness tracker also suggests other Moov sports that you can explore, so you can vary your routine and work your body into other fitness sports. 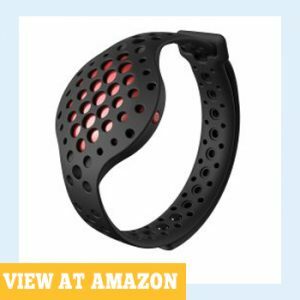 It even provides form tracking to help you avoid injury and prevent cheating or slide in your activity. The material used in Moov Now allows you to track your activity in other extreme sports activities, as it is not only waterproof but also shield away sweat and dirt. The sleek flat design, affordability, with high-quality hardware and firmware makes the Moov New a good buy. If you like a stylish fitness tracker with a small screen, you can go for the newly launched 2016 edition of the Fitbit Alta. 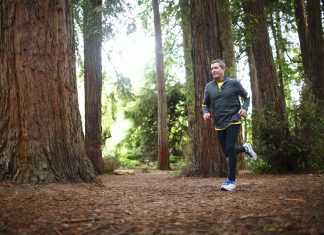 The firmware connects with the Fitbit App, with repackaged features that measure your distance, step, and burned calories. The time and live stats are displayed in the bright OLED finger tap display. Other notable features include the sleep monitor, calendar, text and call notifications. You can customize the Fitbit Alta, by using other types of bands such as leather, metal, and classic sports bands. This tracker does not show heart rate, but you can sync the functions with your phone. The Alta’s slim design makes it look more sleek, without the bulky look which is often the trade off for trackers with heart rate monitor. The clasp comes in flat and smooth, which allows a more comfortable wear even when you sleep. The three sizes are small-Fits for wrists 5.5″-6.7″, large-Fits sizes 6.7″- 8.1″ and XL-Fits with 8.1″-9.3″ wrist circumference. A small reported issue is a sensitive screen, as you would need to get used to the correct rhythm for the two taps: which is a half second apart. Just apply light taps, not with erratic, quick, and high pressured tapping. Overall, you can consider the Fitbit Alta if you’re looking for a comfortable stylish and standard fitness tracker. The Samsung Gear Fit2 is the newest version of the popular brand’s Gear Fit series and it comes with some impressive new features. If you’re tech brand conscious, it is compatible with three of the most popular OS: Android, iOS, as well as Windows. It also gives you the option to connect with Spotify to access more songs or even just store directly into the device. Most of the other features you like to check in fitness tracker are included such as a tracker for sleep quality, heart rate, burned calories, and step count. It also has a built-in GPS and a cool automatic tracker for multiple exercises, as it can intuitively distinguish different activities such as dancing, yoga, rowing, pilates, strength training and more. You can also receive notifications, texts, and calls directly on your wrist, even if you don’t bring your phone. So, whether you’re training for a triathlon, marathon or you spontaneously decided to have a brisk walk – it will record your session. The Samsung Gear Fit2 provides convenient charging, with a single full charge lasting to as long as four days. The water-resistant material allows you to continue with your workout even in different weather conditions, as it whisks away water and even your sweat. It has the smooth curved Super AMOLED display, which vibrantly shows your reports, with the shade/sun options for you to easily read your notifications, whether you like to workout in night or day. The Fit2 connects with the S Health App to hep you set your goals, challenge others, check leaderboards, and share results of workouts. Some of the reported problems include longer charging connection and inaccuracy of counts of stairs and crunches. Otherwise, it is a great buy for the price and well, it’s from a well-known brand. Also, it easily connects with Samsung devices and has no issues connecting to other Android gadgets. Which fitness tracker do you like? By now, you should already have a good idea on the best fitness trackers to help you reach your goals. Decide on the checklist of features that you look for, such as heart rate monitor, sleep quality tracker, auto activity detection, audio motivation coaching, battery life, material, design, and firmware compatibility. Set your price range and you should be able to decide which one to get. If you have comments about other notable fitness tracker bands and watches, feel free to share your reactions in our comment section.